This well-intentioned question just goes to show how tricky this natural space has become and how much mis-information is being tossed around. Often times brands are using the phrase “chemical free” as another tactic in greenwashing — getting people to buy into an idea aimed at selling natural products that’s not real or even possible. Therefore, my friends, water is a chemical. When people ask about chemical free cosmetics they are really expressing that their desire to avoid harsh synthetic ingredients that are toxic and carcinogenic. That is so important to and I love that they are on the path of seeking out healthier skincare and makeup! 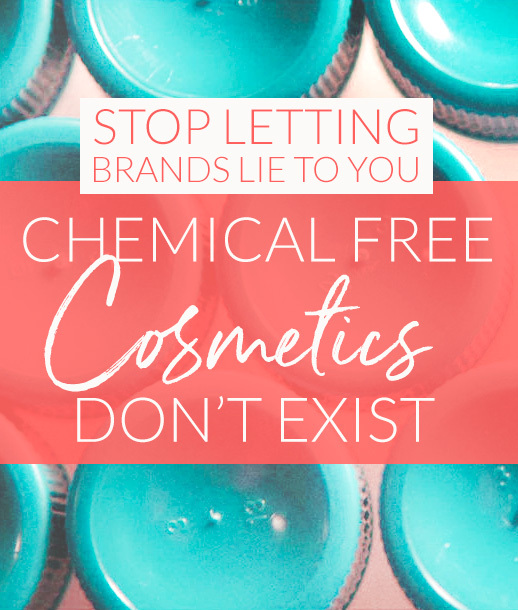 Unfortunately I see beauty companies promoting their natural-ness by saying they’re a brand of “chemical free” makeup, skin care or moisturizers – but but there’s no such thing! The fact that these formulators are making such a claim is a red flag that they don’t understand basic chemistry, or that they’re fine with promoting a misnomer. Neither one is a good thing in my opinion. 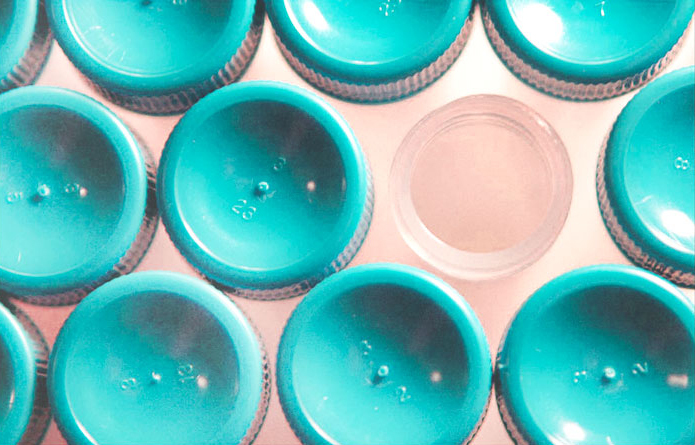 A few years back I remember seeing that one of the green beauty world’s most loved brands, Josh Rosebrook, had the statement “chemical free” on the front of the packaging. Since I love Josh’s products and him personally, I asked if he could explain why he had “chemical free” on his bottles in the first place and later omitted that phrase. Josh’s response was spot on! I had ‘chemical free’ on my label in the early days for a few reasons. Back then ‘organic’ and ‘natural’ were overused and greenwashed (as they still are today). At the time, people saw the word ‘chemical’ as meaning synthetic. The market didn’t really understand that everything is chemical. I wanted to find a way to differentiate myself from brands that I call “hybrid” lines. Meaning the lines who use both synthetic chemicals and organic ingredients, yet market themselves as being natural and organic. 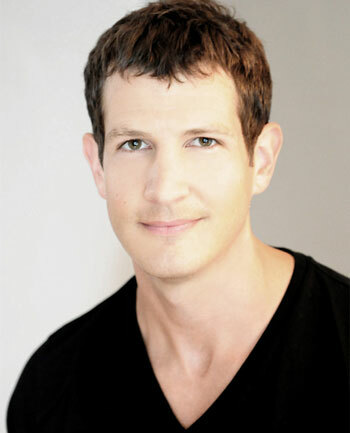 I wanted to be known as an effective (safe) skin and hair care line, not an organic, natural skin and hair care line. Once I had established myself as a clean line, I didn’t need to state it on the front anymore. When people say “Oh, it has chemicals” as a reason to avoid purchasing a product, I don’t think they are necessarily uneducated or disingenuous. They are talking about harmful chemicals. If you break it down, everyone understands that plants are made of chemicals and all reactions in the body are chemical. There is nothing to argue there. It’s that chemical-free is not technically correct and the term “free of harmful chemicals” would be better. In an industry where brands can get away with saying just about anything they want and get away with lying to the consumer through “greenwashing”, it’s even more important that you educate yourself on correct terminology. 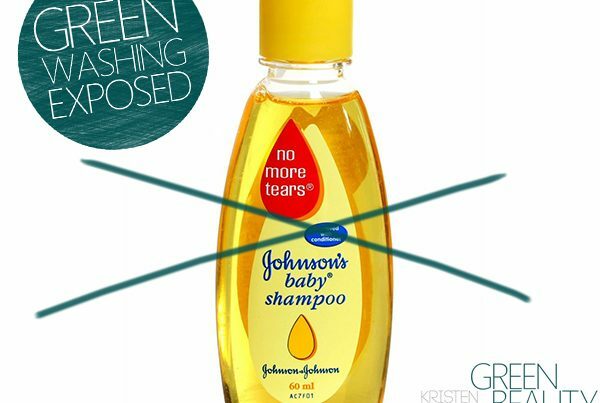 And let’s be honest, what the heck does “ free of harmful chemicals” mean anyway? We’ll dive into that in another article soon. For now, please start tweaking your language to omit the false phrase “chemical free” when shopping for beauty products. Ultimately the movement for healthy beauty is in your hands, so let’s make sure we’re all saying the most accurate statements possible as we invite (and educate) people and brands to make changes. After reading this, would you feel good about trusting your skin’s health and giving your money over to a brand that claims their cosmetics are chemical free? Let me know in the comments below where you stand on this! Next PostIs Tarte Makeup Really All Natural? 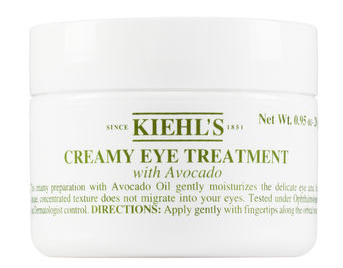 Is Kiehl’s Really Natural Or Are they Greenwashing? Thank you so much for your information! I’m going to start a wellness fb page, with the niche being around clean products and food, with demos and interviews from business owners. New to all the marketing. Can be overwhelming yet fun too. Thank you again! Gems like your article are what make the internet great. I started researching sunscreens online because my daughters white school shirt got light brown stains that I can’t wash out. This led me to learn about different types of sunscreens and then my mind is boggling with what ingredients are safe not just on our skin but in the environment too. I do not have the money for new school shirts or to try many different sunscreens. Anyway your articles are so informative in such a “real” way that I couldn’t stop reading! I too get very annoyed at terms used in advertising that put consumers in a follow the leader state of hypnosis. Nobody around me understands and they all get very annoyed at the many questions I have. I have a question I was asked this as a trivia question and I did not know how to answer it. The question was “chemically free” cosmetics or beauty products are same as natural? I had five choices to answer. After researching as much as I possibly could I was still confused as to what to say and how to choose an answer. So there I was wondering if there was some way I could get some type of answer considering the options I have as far as the answer to that question? Any help you could give would be greatly appreciated. So I would put to you this if you are asked the questions giving the same answers which answer would you choose out of the five listed? Hi I’m just curious as to what your thoughts are on the Beautycounter Company? I think they claim to being transparent in their ingredients and to not use harsh chemicals. I’ve started using a few of their products and I’m trying to decide on whether or not to try the whole line. And the paraben in the foundation does NOT seep into your pores or blood stream either. It’s a wax foundation. Limelight doesn’t and has never promoted chemical free products. The products are free of harsh chemicals. I mean water is a chemical so nothing is chemical free. I found plenty on Limelight at that website. Same for Mary Kay, Avon, BeautyCounter, BautiControl. These companies are essentially the same as far as synthetic and potentially toxic ingredients. My thing is why use synthetic and potentially toxic when there are so many alternatives like Bare Minerals, Savvy Minerals by Young Living, Alina Pure, etc? It’s not just the harm these synthetic chemicals do to you it’s what they do to the environment too. Great article Kristen and such an interesting approach !! Personally, I never NEVER NEVER only buy from whatever everyone is writing on the outside. I m always look in the ingredients list. And this is what I try to explain to my friends … well … they all think I m crazy of course … Hahaha ! Great Article Kristen. You have just given me a idea to write something similar for my blog. This is always a topic of confusion and I think one of the reasons customers get a bit wary of brands claiming to sell chemical free products and in turn the organic industry gets a bad rap. Agreed….. Any company can say they are green when they aren’t….. Natural or synthetic they are still chemicals, it’s just whether they’ve been found to have toxic or harmful ingredients…. I’m so glad that I found a company that not only makes makeup, cleaners, laundry, soap, essential oils etc. And since they’ve been around since 1985 and refuses to use any toxic chemicals. I’ve suffered for 14 years from eczema, spent hundreds on prescriptions that didnt work. This company is the only company that has products that work. Thank you for continually providing useful and easy to consume information. I’ve tried to reduce and am working to eliminate harmful products in my home and in my skincare and makeup routine. I’ve got contact dermatitis and have struggled (with the help of dermatologist and allergist) to determine the triggers. I am one of those with an allergy to phenoxyethanol. So I moved away from products that contain that harmful ingredient. Now I’ve learned that I have a sunflower seed oil. It feels like a double whammy–first the chemical and now the natural ingredient that I’m sensitive to. (And sunflower seed oil is in TONS of skincare/makeup; organic or ‘conventional’) So yes, I think it’s important to learn what ingredients, chemical or not that are potentially harmful. If you can recommend a foundation and perhaps lipstick that is free of these, I’d be oh, so appreciative! THANK YOU! As a chemist who now works in marketing in the natural products industry I agree completely! There is much important science that goes into researching the chemicals naturally occurring in plants (phytochemicals) to benefit our health and beauty inside and out. In fact, I am currently sitting at the Phytochemical Society of North America meeting watching scientists who have dedicated their careers present on such topics. Any brands that advertise as “chemical free” not only mislead consumers, they either don’t understand basic science or willfully take advantage of poor consumer understanding on the subject, and also insult the hard work and efforts of dedicated scientists who are working to understand and solve theses issues for the benefit of consumers. I applaud you for having this talent and interest in educating more people! What a blessing you are to help us! That is so sweet of you to say, Lisa! Thank you! I was recently exptremely disapointed in a company that is becoming popular called LimeLight by Alcone. They advertise as “Chemical-free” (yea, I know!) and Paraben free. Yet one look at their ingredients in their popular foundation shows that the list includes Butyl Paraben and BHT. They have yet to reply to my comments and questions.. What are your thoughts on this, and are you familiar with this brand? It’s misleading selling “botanical based” foundation. It’s TOXIC 100%. Actually it’s not toxic. Limelight by alcone Botanical Foundation is formulated to sit on top of the skin therefore it does not seep into the pores and it does not get into your bloodstream if you read the ingredients and also do your research on how RCMA formulates the foundation you would know that. I am actually developing a few of my own products. I appreciate the insight on labeling. I agree people are very misinformed about ingredients. I learned long ago not to believe the pretty print on the front of any package. I started reading actual ingredients labels in food a few years ago and that has carried into my search for synthetic free hair and make up products. Vapour-ingredient description on website includes the phrase “chemical free”…sad moment. “chemical-free” on labels has been a constant bugbear of mine. There are brands with great products that I still purchase even though they use this term and I groan each time I see it. I base my decisions by looking at the ingredients list rather than the label. For me ‘green’ is a term I use and understand what brands are trying to say but it in reality a bit like “natural” it has no definitive meaning and is very open to interpretation. Certified organic is the only label that is solid….though again in some countries a product only needs to have ONE ingredient that is organic to be labelled as such. All so complicated! Incidentally, I have been on a journey for the last year. I have lost 63 lbs, and have gone from harsh chemicals in my home to getting rid of them. It has helped my fibromyalgia significantly. I even have a small vegetable herb garden. I can fully relate to this article!! When I first started making YouTube videos to get the word out about my new discovery that toxic ingredients that were hiding in a lot of the personal care products that we use everyday, I used to use the term chemical free as well! One of my first videos from about 3 or 4 years ago was titled “My Journey to Chemical Free” – my first set of business cards said “Chemical Free Beauty Vlogger”… It was the best way I could get across exactly what I was aiming to do. Just as Josh said, I wanted to steer clear of using terms like Natural, Green, or Organic, since those terms were heavily used in greenwashing and had such loose definitions at the time. I couldn’t agree more with everything that Josh stated! Now as I have gained more education and experience in the area of green beauty over the years, in addition to my target audience becoming more educated and aware, in addition to green beauty market expanding rapidly, I don’t use “chemical-free” anymore and actually prefer to use words like “Green” and “Organic” – it’s funny how things change 🙂 For me, “Green” is a word that encompasses all standards I look for when making a buying decision – Free of harmful chemicals, vegan, Eco, and organic. I like to look back and see how I’ve changed and evolved in my journey and also how I’ve changed and evolved to keep up with my viewers and the market. My first few tutorials featured products from brands like Arbonne and Tarte… Brands that I would never ever recommend or use now! That’s the beauty of the journey! Overall, I think it’s a win for the green beauty community and Eco movement that we are getting closer to bringing words like “green” and “organic” back to their original meanings as opposed to just being terms used by mass brands to market deceiving products. Thank you for this article! It may have sparked an idea in my head for a topic for a new video! So well said! It’s a great reminder that we need to pay attention to what’s listed on the ingredient label… not the claims on the packaging. Thanks for writing! I am a NYR Organic Independent Consultant. Thank you Jill for your recommendation! Thanks for breaking it down on chemicals and helping to educate, educate, educate. Hero On! Such an amazing point, Kristen!! Wow I never stopped to think this term through until you mentioned it here. Thank you for first of all helping me sound more intelligent and accurate, lol, and also for helping all of us become better consumers! Your work with writing articles does not return void. Keep up the great work! That’s so kind of you, Julie! I am really glad it helped you to reframe how you share green beauty too. I can’t speak to whether or not you’ll sound more intelligent still though 😉 Haha! I’m joking obviously. Mwah! Great article Kristen. I couldn’t agree with you more. Oh that means so much coming from you Meryl! Thank you! !